Skilfully crafted German straight razors are considered the best in the world. 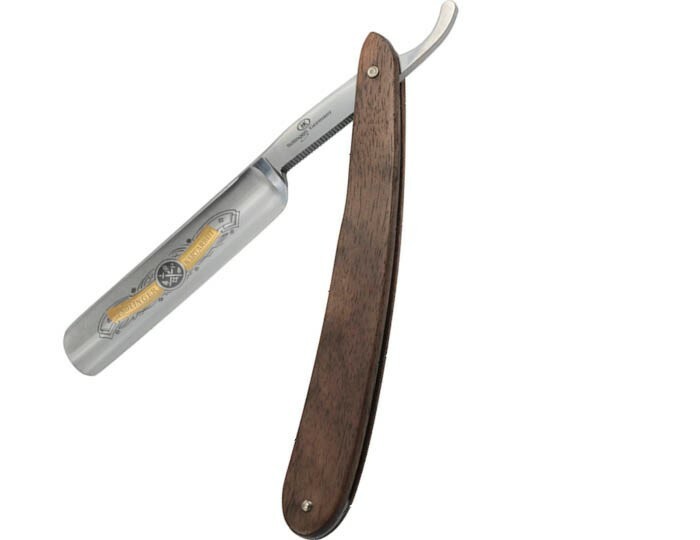 Engineered in Solingen – traditional German city of blades, Hans Kniebes straight razor gives you impeccable shaving experience with a 5/8” hollow blade made of non-stainless carbon steel for added flexibility and sharpness. 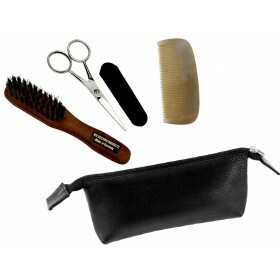 Luxurious walnut wood handle and black leather pouch add further style to your shaving routine and make it convenient for travelling or storing in the bathroom. 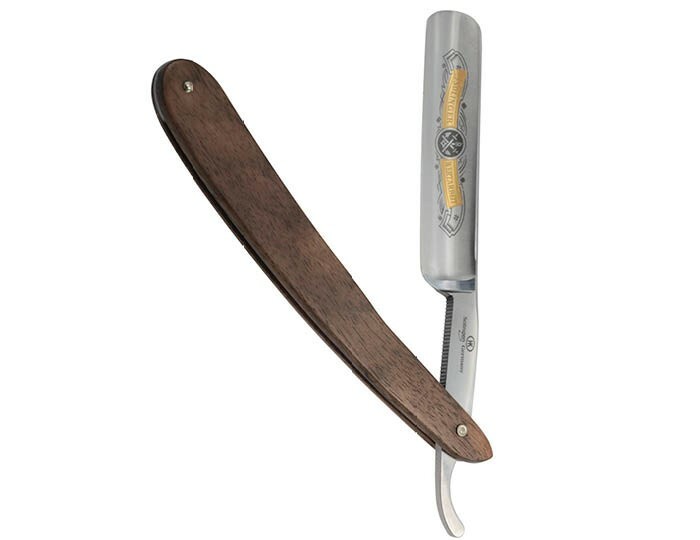 Hans Kniebes Solingen straight razor offers ultra premium German quality for traditional shavers. 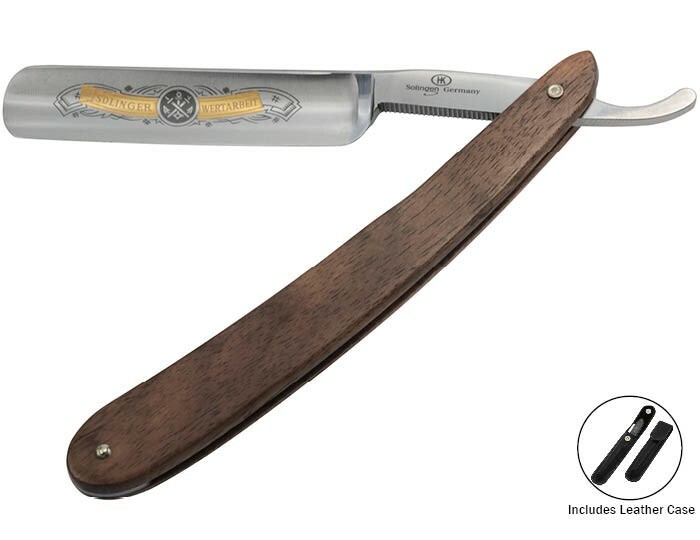 Experience the difference in shaving with this authentic German straight razor that embodies the highest Solingen craftsmanship. 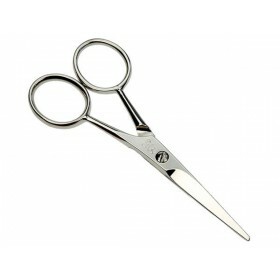 It features an ultra sharp half hollow 5/8” blade made of the hot forged non-stainless carbon steel. This material gives hardness and flexibility and ensures greater maintenance. Following traditional manufacturing process, Hans Kniebes artisans make sure that each cut throat razor is sharpened to perfection and performs to the highest shaving standards. Solingen is the mark of the best possible quality and Hans Kniebes straight razors are sure to perform beautifully through the years of use. 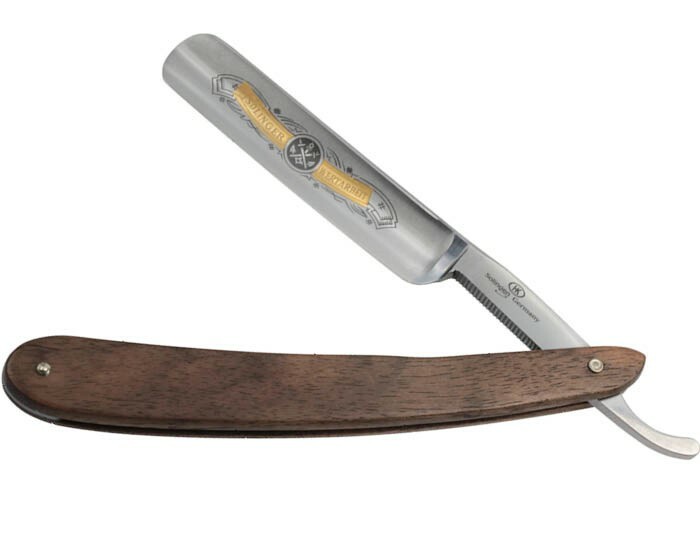 To ensure your Solingen straight razor lasts a life time, please ensure that after each use, you wash the razor with clean water and dry immediately and thoroughly, especially where the blade meets the handle. To prevent corrosion, apply a coat of oil on the joint and store the razor dry in well-ventilated place. If you are not going to use the razor for a while, apply a good coat of oil, to ensure the blade is protected against rust over time. 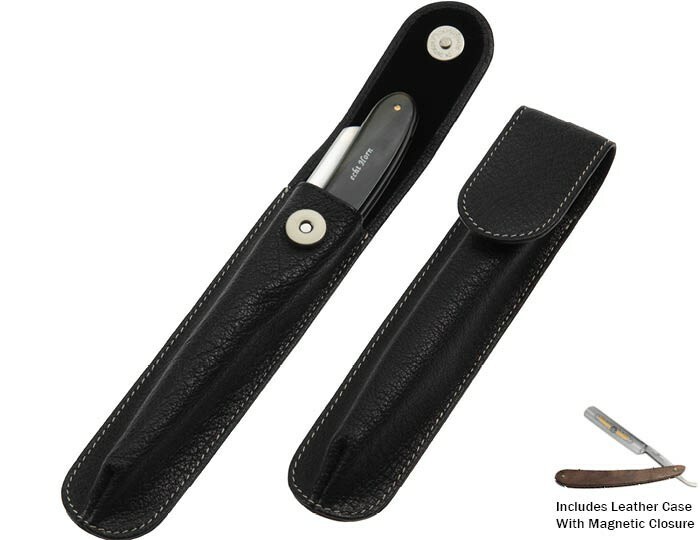 Pair up with Hans Kniebes Leather Razor Strop, to prime the edge of the blade so that the steel is pointing in the same direction and you have a straight, clean and sharp edge for every shave.